Download and Save the application ZIP file to your computer. 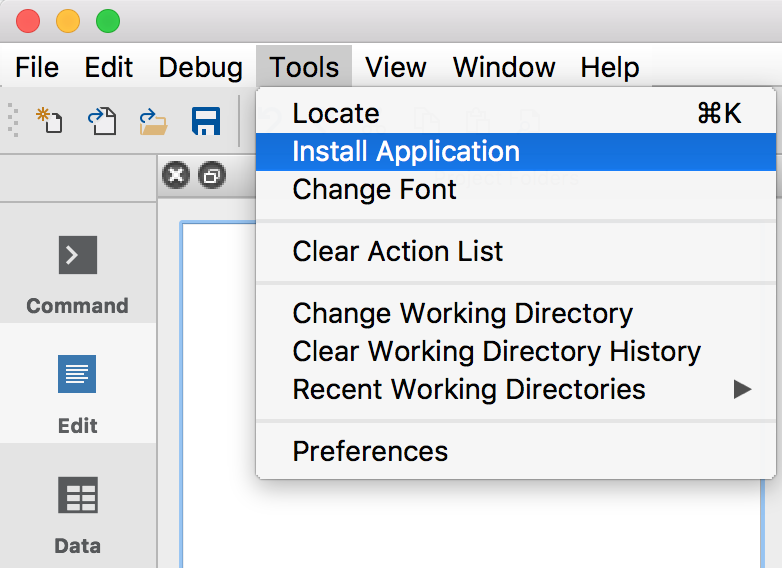 Select Tools > Install Application from the main GAUSS menu bar. After selecting Install Application, you should see a dialog similar to the image below. Click Next to proceed. Browse to the folder containing the GAUSS Application ZIP file and select the application that you want to install. Note that GAUSS in-house applications begin with the prefix app_. Once you have selected the file, click Open, then Next to install the application. Open the Edit (previously Source) tab and look at the list of libraries (*.lcg files) available in the Library Tool. All installed libraries will be listed there. If the example runs, the GAUSS Application has been installed correctly. To install multiple libraries at one time, hold down CTRL key when selecting the files to be installed and the Applications Installer Tool will install them all at once. GAUSS version 18+ comes with a terminal version of the Applications Installer Tool. Save the GAUSS Application Package ZIP file (e.g., app_ml_5.0_WIN.zip) in your GAUSSHOME directory or wherever you have installed GAUSS. Safari browser automatically extracts the downloaded ZIP file. Select Safari > Preferences from the main Safari menu. Under the General tab, uncheck the option Open “safe” files after downloading. File Already Exists warning message. When installing an application, a message appears stating: The file <file_name> already exists. Many GAUSS application modules share some of the same datasets. It is generally fine to allow the installer to overwrite the file. Some example files assume that the example data is in the current working directory. To resolve this error, change your GAUSS working directory to the location of the example file and re-run the example. This error means that the Application Module has not been properly installed. If you have multiple versions of GAUSS on your computer, the Application Module must be installed by each version of GAUSS separately. Follow the instructions at the top of this page to install the package. 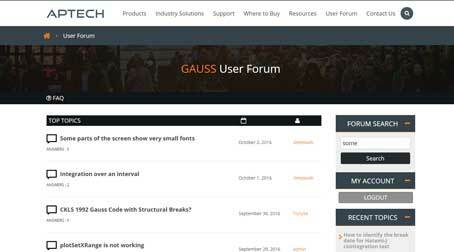 The GAUSS User Forum is available for further questions and assistance.